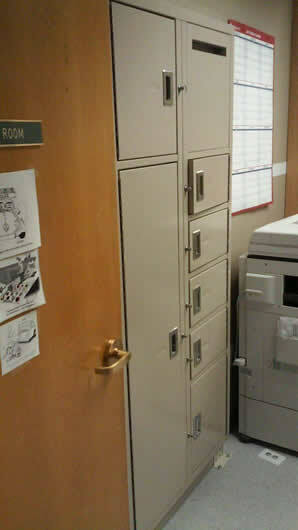 You will find our lockers in areas of police evidence transfer, evidence storage, crime scene investigations, forensic evidence, or in postal service. 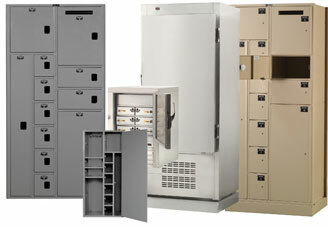 Crime & evidence lockers are state-of-the-art storage solutions created especially for law enforcement. There are various configurations made to meet your needs. 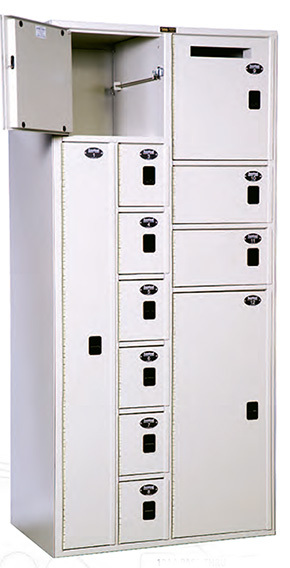 This locker were designed to handle evidence items with integrity, facilitates their security check, and the historical tracking from one place to the next. This unit stands the test of time and frequent usage in all situations. Many options and models are available, in order to give you the best selection of possible configurations to better meet your particular requirements. Easy to maintain and secure, it is an efficient solution with the promise of great functionality and peace of mind. 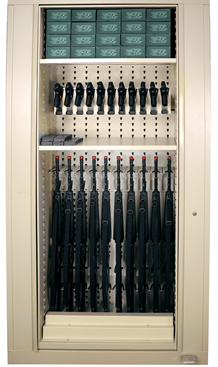 NationWide Shelving's Weapons Storage Accessories were created to store almost any size rifle, shotgun, machine gun, or handgun in addition to clips, bulk ammunition, scopes, optics, binoculars, night vision goggles, helmets, and ancillary gear. 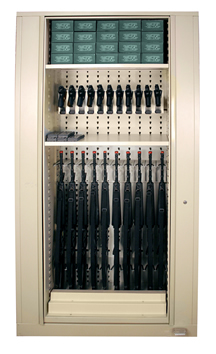 Dual sided rotating cabinet stores up to 40 rifles or 198 handguns. 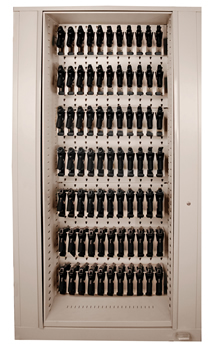 Municipal, County and State Law Enforcement Departments have unique challenges for specialized storage that can include limited physical space and high security requirements. NationWide Shelving has many secure and space efficient solutions for the special items crucial to law enforcement and the criminal justice system.